Going through a divorce is not easy. Even before the emotional wounds heal, financial strife knocks on the door, threatening to tear your lives apart. Many couples, it becomes hard to separate emotions from money problems. It helps when you get someone with an objective mind and who is qualified to handle such issues. In the past, retirement plans were never considered in a divorce proceeding. In many cases, after all, retirement may be too far off that we never pay attention to it. However, according to the law, pensions earned during the marriage are considered to be jointly owned by both spouses. Your pension is probably the largest asset in your possession, after real estate. • For Pension sharing: You will be legally entitled to a percentage of your partner’s retirement savings. • Pension offsetting: You will be given an asset that is deemed equivalent to your share of the pension. • Pension attachment: All or part of the retirement benefits will be paid out to the ex-spouse. The rules related to such arrangements may be a little more complicated if you are not a lawyer. 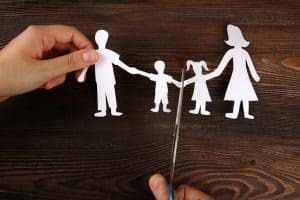 With a qualified hand, such as the team from Free Family Mediation, you will have an easy time settling some of the financial issues as you transition into your new life. Besides helping you with the legal matters, our mediators have enough experience and maturity to help you settle matters out of court. Out-of-court settlements take little time, are less expensive, and they may keep you from holding grudges against your spouse. 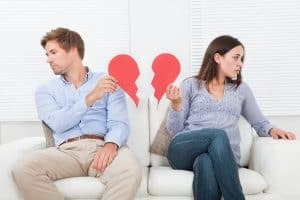 Even though the differences may be between you and your spouse, you can be sure of dragging a crowd into the mess when it comes to divorce. If you have children, a nasty divorce can destroy their entire lives. At Free Family Mediation, our counsellors will sit with your children and guide them on how to deal with the new realities. If you agree to it, we can sit with both parents and the children to plan the future and cut some of the tensions.